Graham flour is popping up more and more now, moving beyond just graham crackers (although these days you may want to check the list of graham cracker ingredients to see if real graham flour is actually used). 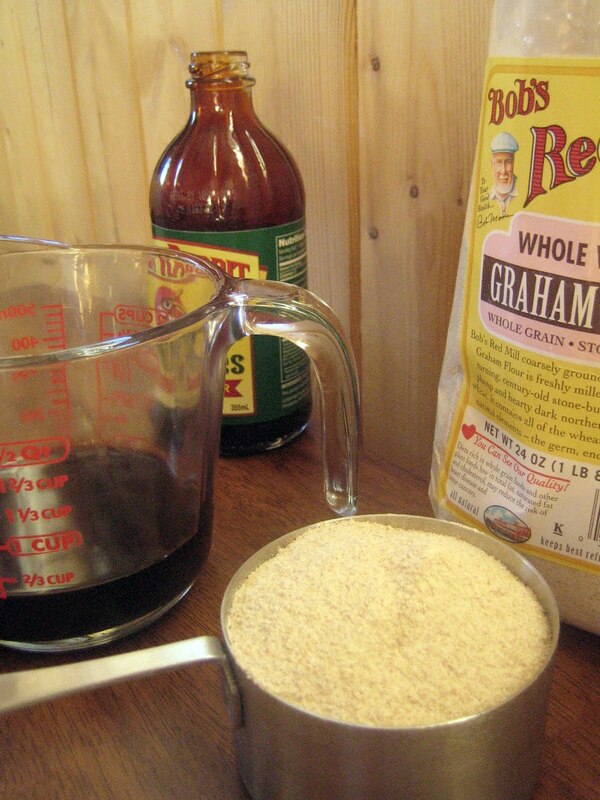 Graham flour is coarsely ground whole wheat. 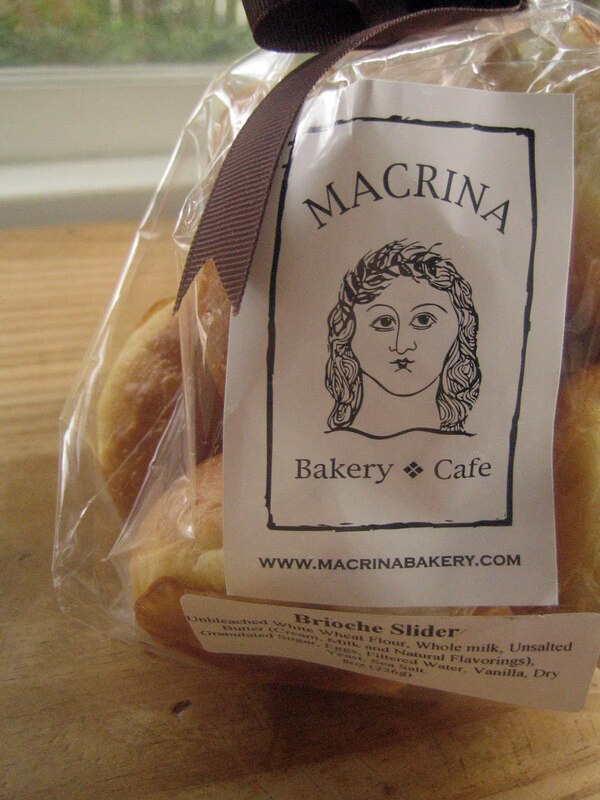 It retains the bran and germ from the kernel and is less processed than regular whole wheat flour. The flour is named for a 19th century nutrition reformer, Sylvester Graham. He was a Presbyterian minister who was controversial at the time for his views on healthy eating which included a vegetarian diet with whole grains but no caffeine, white flour, meat, tobacco or alcohol. Funny to think that a diet rich in vegetables and whole grains could cause such a stir, but the bakers, bartenders, butchers and tobacco farmers were not happy with the number of followers Rev. Graham attracted at the time. 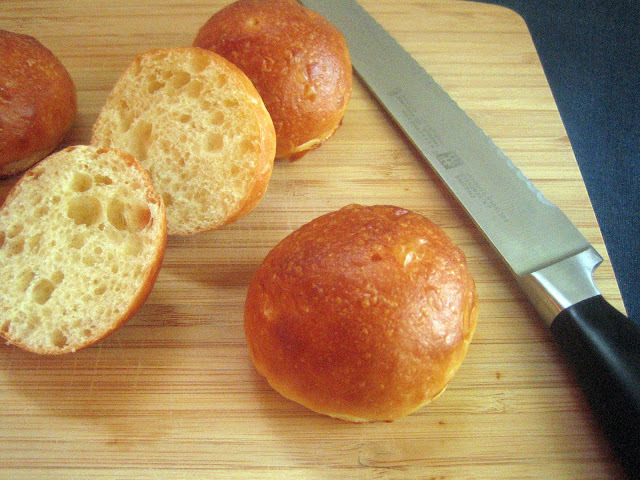 Bread made from graham flour is incredibly delicious. In fact, Graham Bread tops my husband’s list of favorite breads. 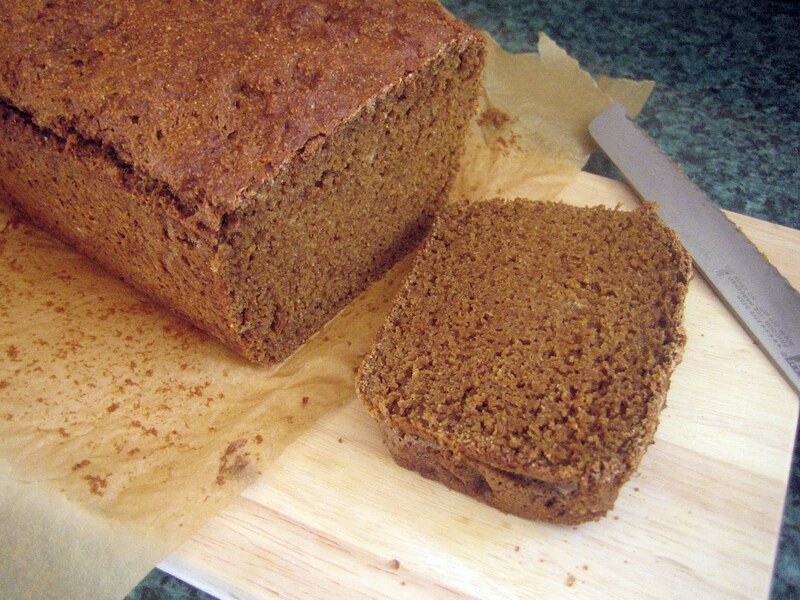 There is a natural sweetness to the graham flour and when molasses is added you have a loaf of robust, wholesome flavor. My mom first introduced me to Graham Bread (she has a delectable Graham Nut Pudding, too, that I’ll share with you soon). The recipe she gave me was torn from a newspaper. 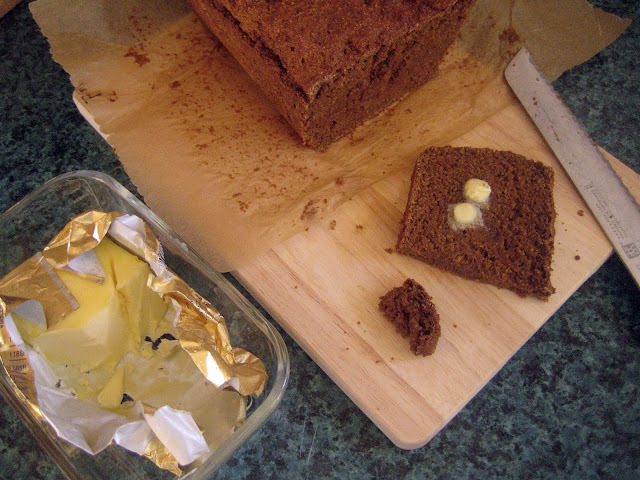 Its edges have yellowed over the years and it is safely tucked into my recipe journal. I’ve modified the original recipe to include buttermilk, yogurt and some spelt flour, and switched from white to brown sugar to enhance the earthy sweetness. 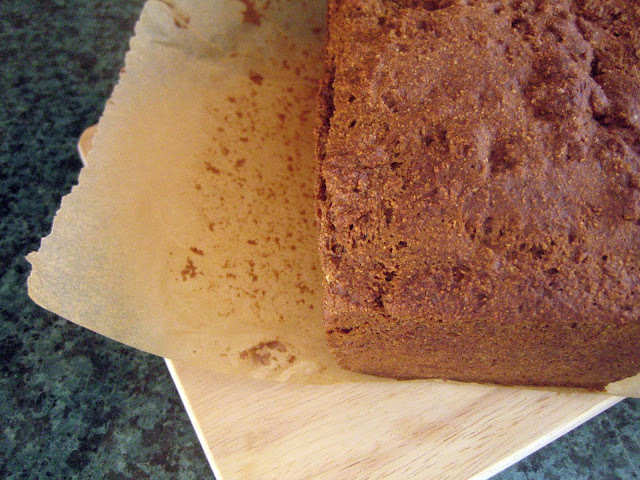 Since there is no yeast involved, this is a quick bread to stir up and lovely to have in your repertoire to make on a moment’s notice. It is marvelous toasted and spread with butter for breakfast (we just inhaled a loaf this way) or slathered with cream cheese for an afternoon tea break. 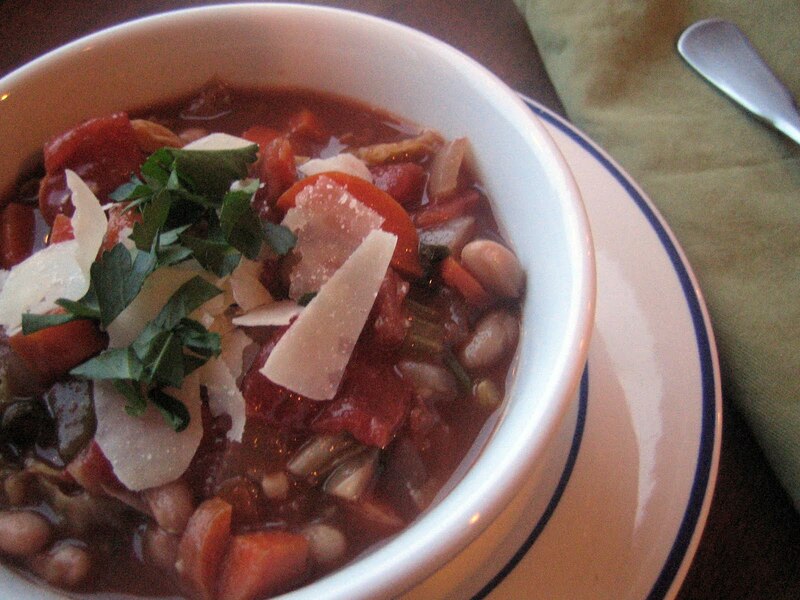 You could add currants or dried cranberries for some variation, but I prefer to keep it plain and simple. I think Sylvester Graham would approve! Preheat the oven to 350 degrees. Butter a loaf pan and set aside. 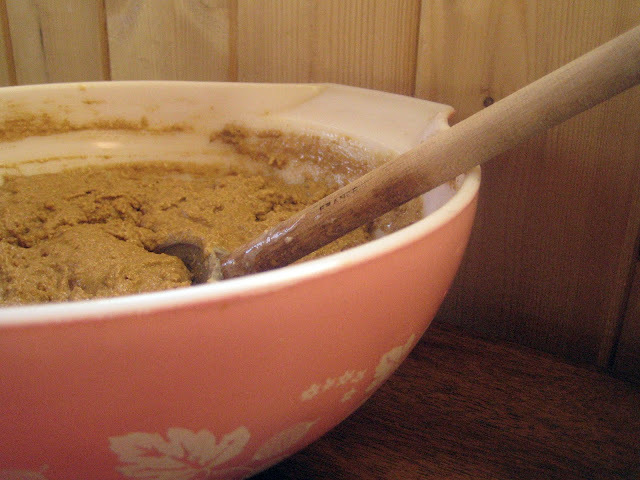 In a large mixing bowl, combine the graham flour, spelt flour, brown sugar, baking soda and salt and stir together. Pour the molasses in and mix. In a small bowl, combine the yogurt and buttermilk and stir until mixed. Pour into the flour mixture and stir until just combined. Spoon the batter into the prepared loaf pan and smooth. Bake for about 1 hour, until a tester comes out clean. Let cool for 10 minutes before removing from the pan. Slice and slather with butter. When I got home I unpacked my sunset-hued treasures and began the fun process of deciding how to enjoy it all. 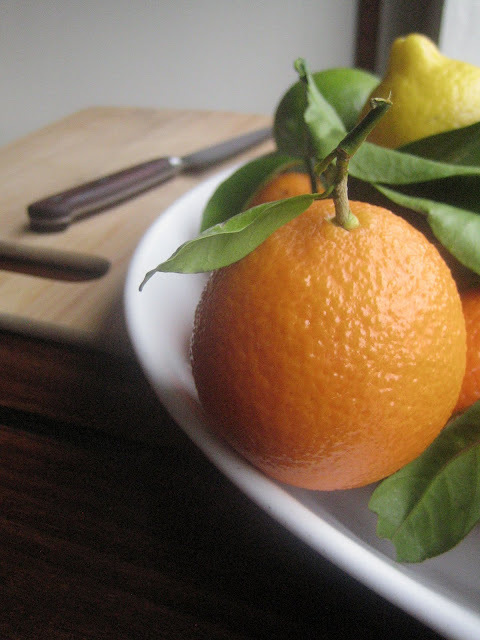 Thinly sliced kumquats were a tart, refreshing addition to my morning oatmeal. A bowl full of oranges and grapefruit set on the dinner table became our dessert. 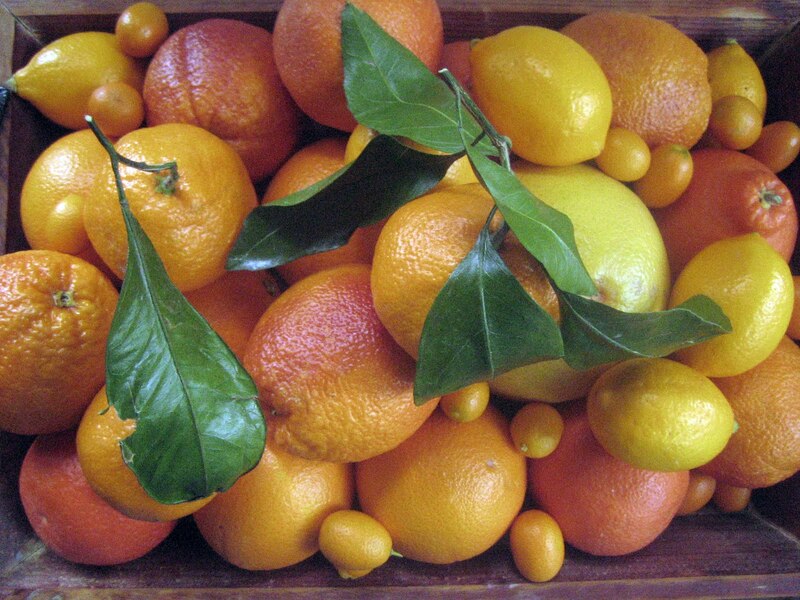 Meyer lemons were zested and squeezed on green beans and baked into cakes. I knew we’d have no trouble eating our way through it all quickly. Before my citrus bounty disappeared, I wanted to try something new. 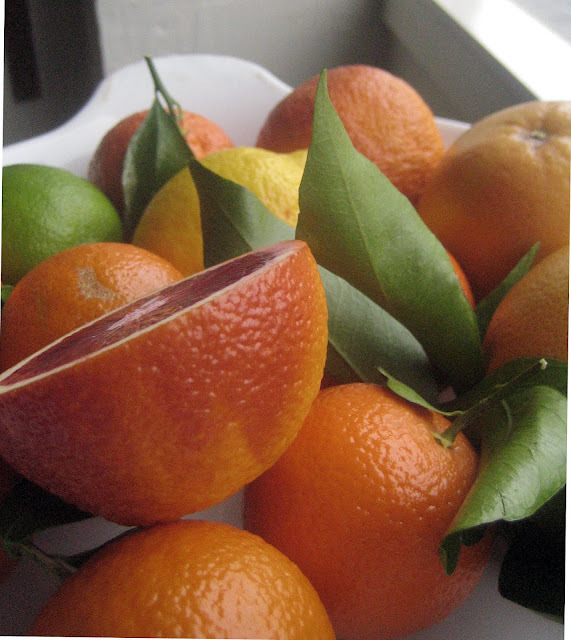 I’ve made lemon curd in the past and have tasted orange and lime curds which are lovely, but never grapefruit. Eyeing some juicy grapefruit sitting on the kitchen counter, I decided grapefruit curd would be my next venture. I don’t care for curds that are too sweet, which is often the issue with store-bought lemon curd. 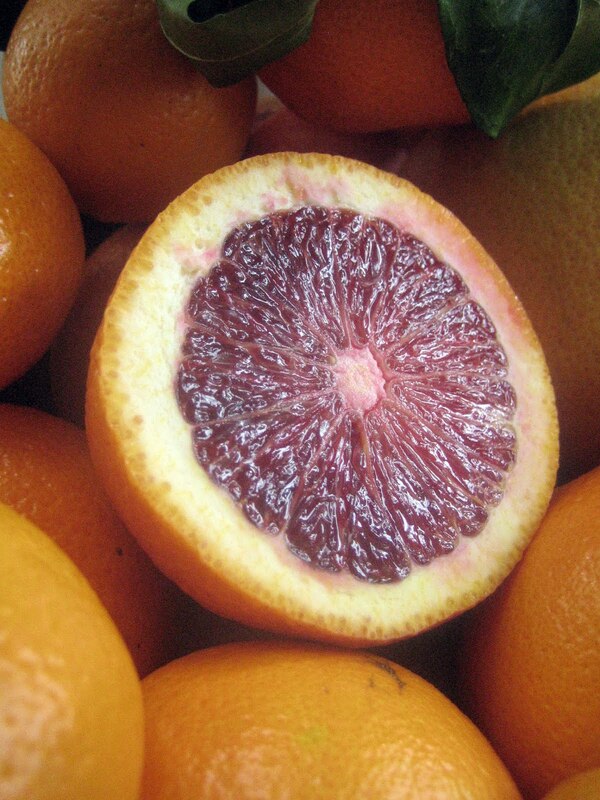 My grapefruit was already fairly sweet, so I would be able to keep the added sugar very low. 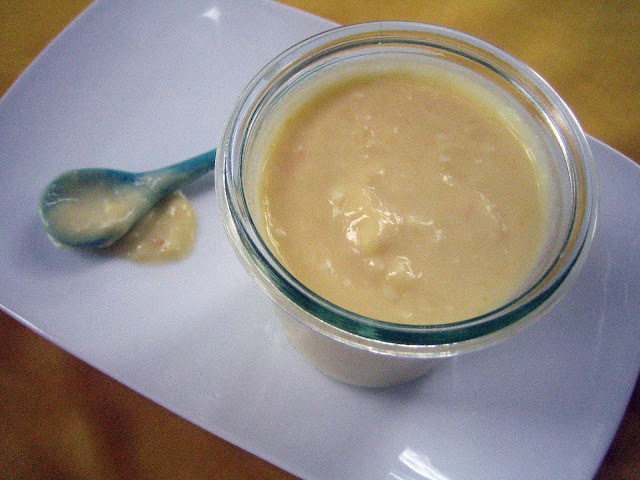 My first attempt at grapefruit curd ended with curdled egg ... I had the heat too high and let it start to boil. Be sure to only cook the curd until it coats that back of a wooden spoon and remove your pan from the heat if it begins to steam. Usually curd is strained through a sieve when it’s done but I forgot this step in my excitement to not curdle it again! I liked how it turned out so will continue to omit sieving moving forward. This curd has a pleasing, delicate grapefruit flavor, not too sweet but still rich from the eggs and butter. It would be decadent stirred into whipped cream for a cake filling, swirled through a cheesecake or baked inside muffins (my plan for breakfast one morning this week). Sneaking a spoonful when you open the fridge is always a welcome thought, too. 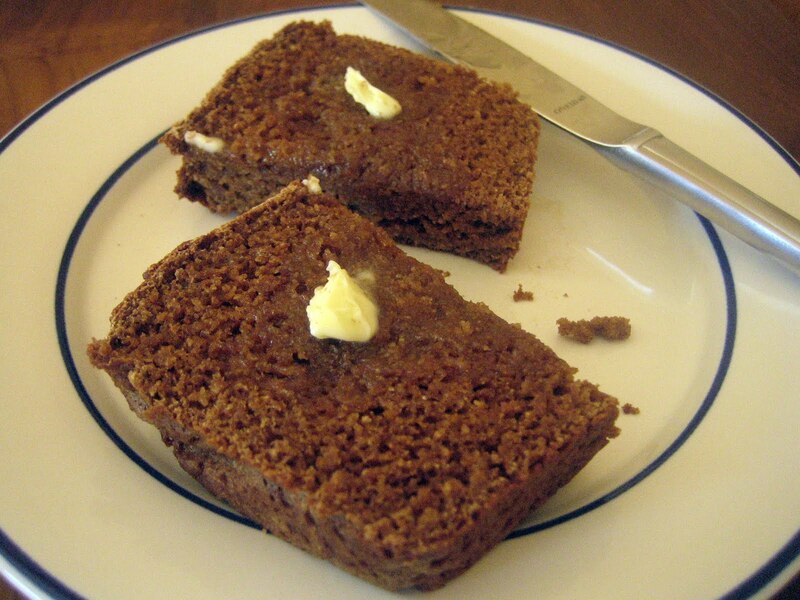 So far we’ve been slathering the curd on hearty slices of multi-grain toast and sipping hot tea - a classic! Combine the juice, sugar and eggs in a medium saucepan and whisk to combine. Add the butter and start cooking over medium heat, whisking until the butter melts and watching to make sure the mixture does not get too hot. If it begins to steam, remove from the heat for a moment. Lower the heat to medium-low if necessary. When the butter has melted, add the zests and keep stirring (use a spatula to scrape the sides and bottom of pan) for a couple of minutes until it thickens a little and coats the back of a wooden spoon. Do not let it boil or it will curdle. 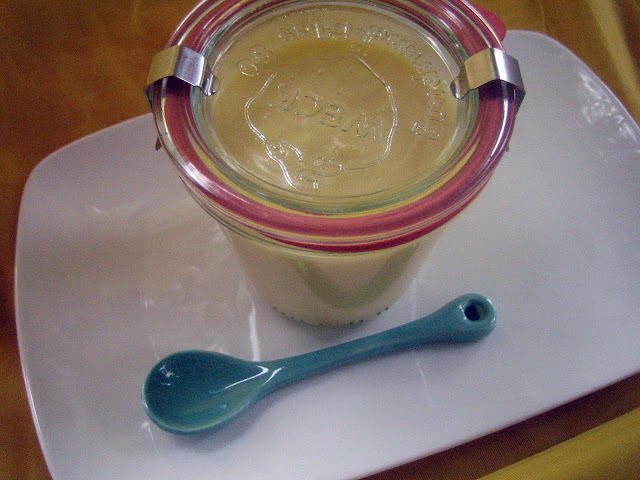 Remove saucepan from the heat and pour the curd into a pint sized jar. Let it cool completely then cover and refrigerate. The curd will thicken more as it chills. It will keep for a few weeks in the fridge. This is turning into quite a sweet week here ... sugar is in the air! My cozy dessert mood has continued, most likely due to the rain splattered windows and chilly, damp air, so indulging in one of our family favorites was comforting. Nursery desserts - soothing, soft bowls of creamy sweetness - have always been a weakness of mine. I adore them all, whether it's rice pudding, tapioca, mousse, fool or graham nut pudding. Custards make me happy (and don’t even get me started on crème brulee). 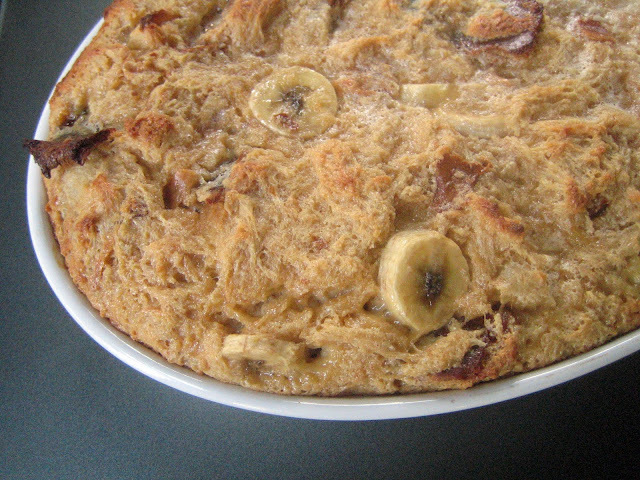 I am particularly fond of bread pudding. I appreciate the thriftiness of leftover bread heels and stale crusts being transformed into a luscious, pleasing dessert. Simple ingredients - eggs, cream, sugar and bread - form the basis of the pudding, allowing you to add other flavors that inspire you. 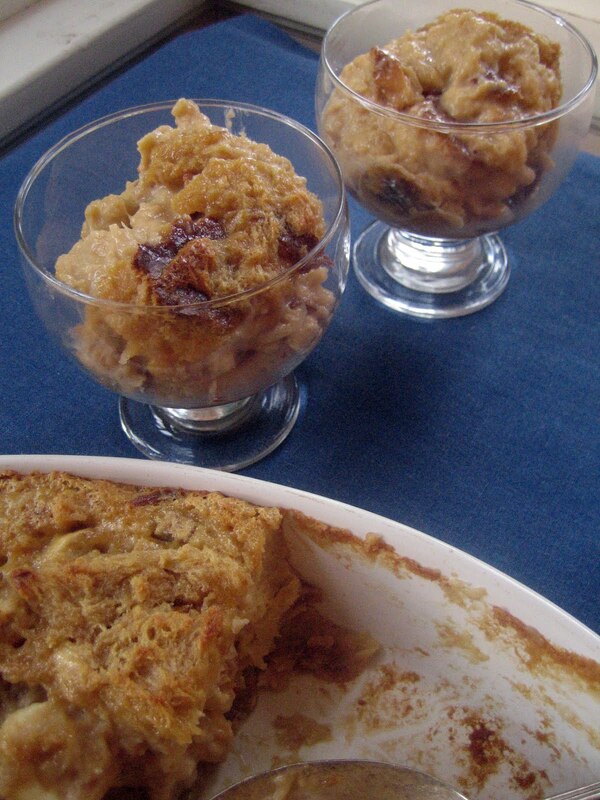 A number of years ago I discovered Maple Bread Pudding in Bon Appetit and it has become a mainstay in my repertoire. Maple syrup shines here and adds earthy, sublime sweetness. I’ve adapted this rich pudding slightly to create variations depending upon my mood or what’s on hand. Toasted walnuts, cacao nibs, chocolate chunks, toasted coconut, maple sugar candy or some combination of these have all been scrumptious. Chopped bananas have emerged as my go-to addition, though. Topped with a dollop of freshly whipped cream, a scoop of vanilla ice cream or a drizzle of butterscotch sauce, this dessert will elicit sighs of contentment. There’s nothing like snuggling under an afghan on the couch with a bowl of warm pudding to brighten the grey skies. 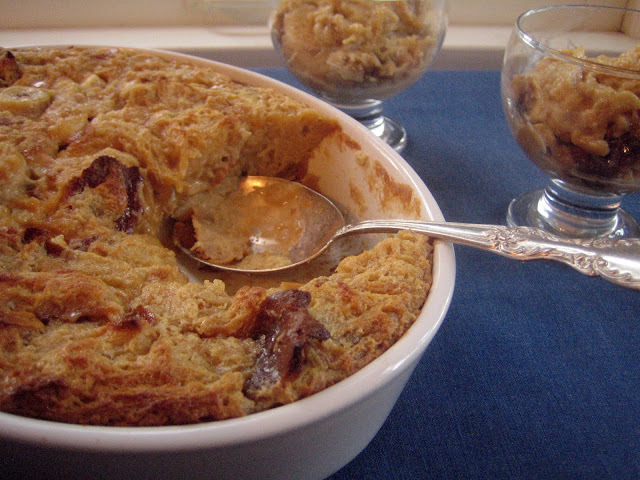 In a large bowl, whisk the eggs, cream, brown sugar, 1 1/4 cup maple syrup and vanilla together. Add the challah and stir to combine. Let sit for about an hour, until the bread is well soaked. 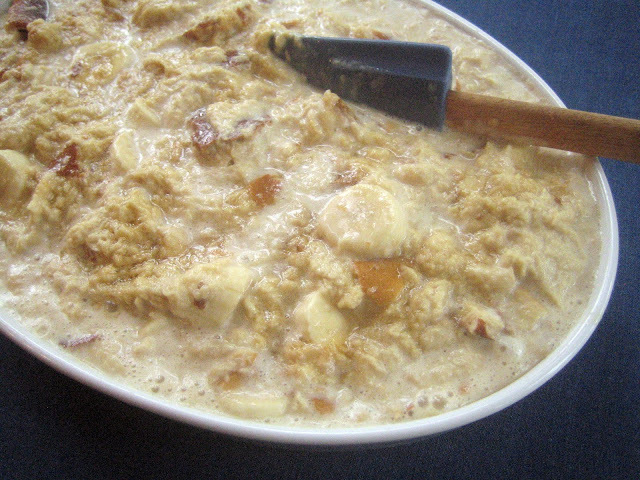 Stir the bananas into the mixture (or any other yummy additions). Preheat the oven the 375 degrees. Butter a 9x13 inch or similar sized baking dish. Pour the pudding into the baking dish and spread evenly. Drizzle the remaining 1/4 cup maple syrup over the top. 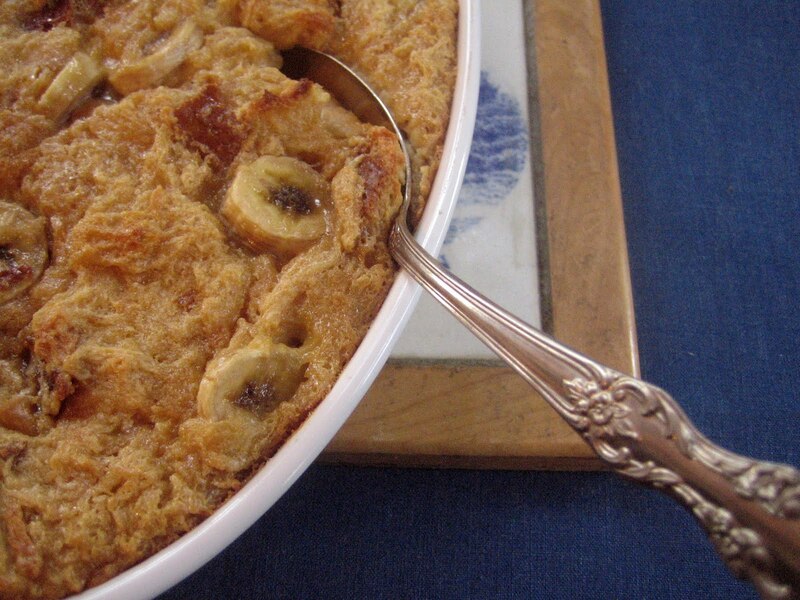 Place the dish on a rimmed baking sheet and bake for 35-40 minutes, until the pudding is puffed and lightly browned. 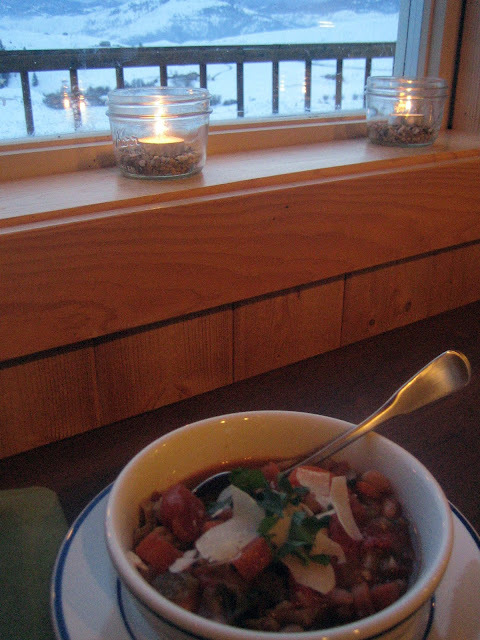 Serve warm and enjoy. Let’s steep in these words for a moment here: whole wheat. chocolate chip. skillet. cookies. And now a deep sigh ... how can you not instantly love this one? 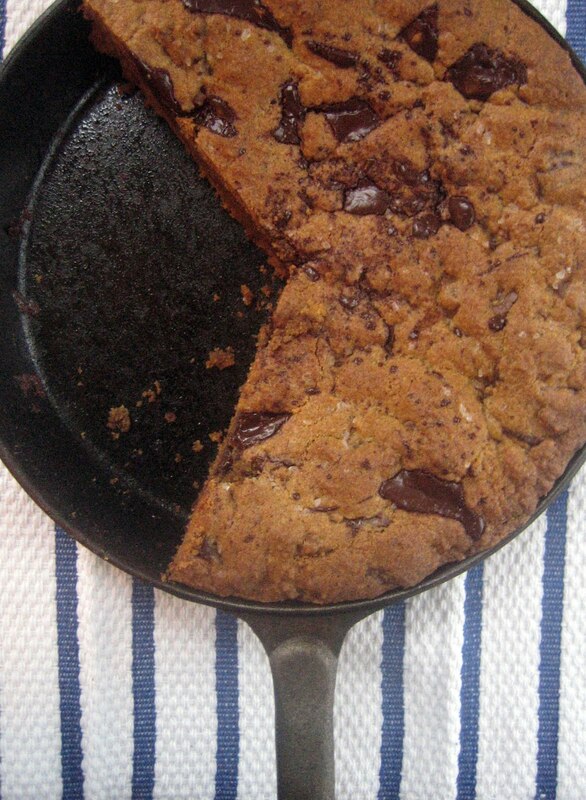 I’ve had Heidi Swanson’s recipe for Whole Wheat Chocolate Chip Skillet Cookies tucked away to try, and this past week emerged as the time to make it. I am happy that I did! I am drawn to anything with whole wheat flour – I love its wholesome, hearty flavor and texture - and when paired with chocolate it’s always a winning combination. 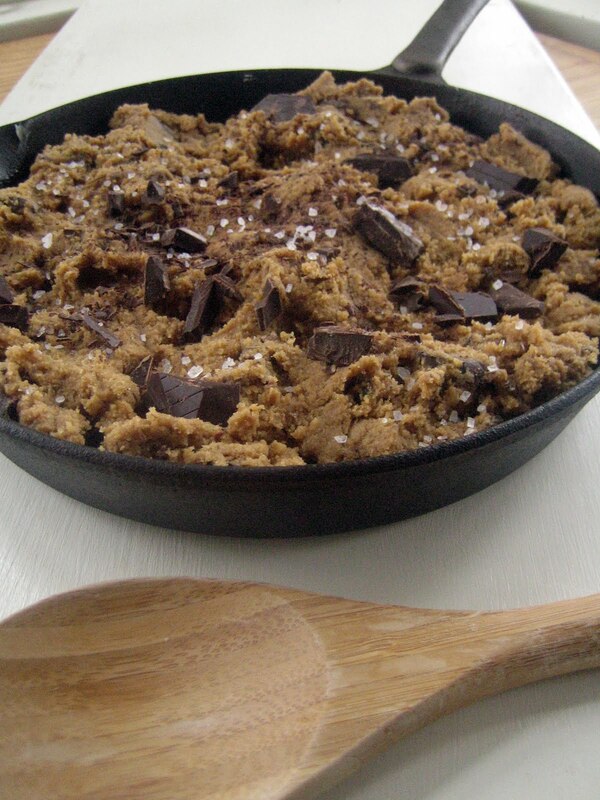 Plus, patting the dough into my cast iron skillet and baking it couldn’t have been quicker or easier. For the cookie, I used a combination of dark and milk chopped chocolate plus bourbon vanilla, and before baking I sprinkled the top with coarse sea salt. 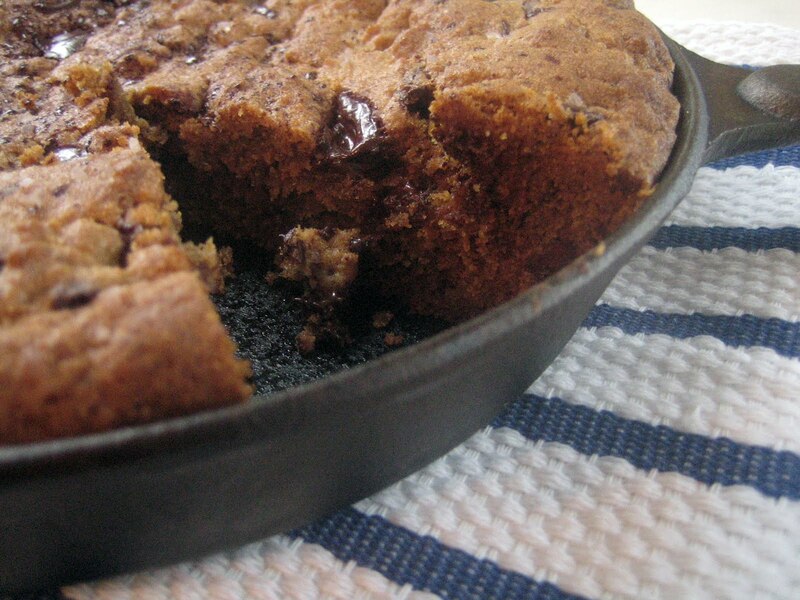 When I pulled the skillet out of the oven, I inhaled the aromas of chocolate and vanilla – pure baked goodness. I let it cool, and when I couldn’t stand waiting any longer I cut a thick wedge. Crisp edges, dense, soft interior, gooey chocolate ... these were my thoughts as I nibbled contentedly. The sea salt added a little crunch and balanced the sweetness out nicely. You need nothing more than a napkin to enjoy - my sons were happy to dive in to this perfect after-school treat. 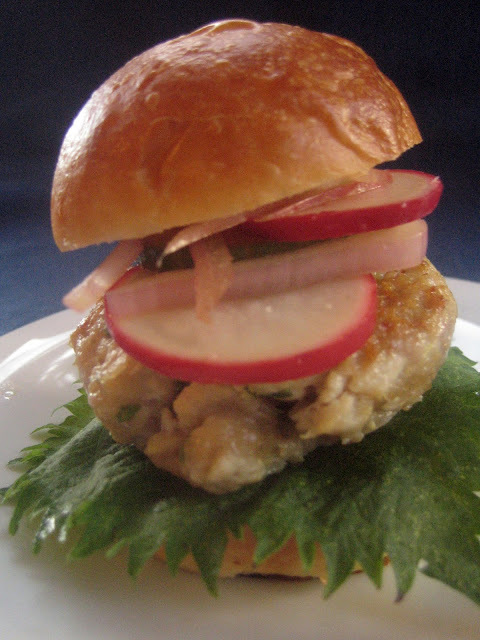 As it cooled, it firmed up so if you’d like to have the softer texture I recommend serving it warm. 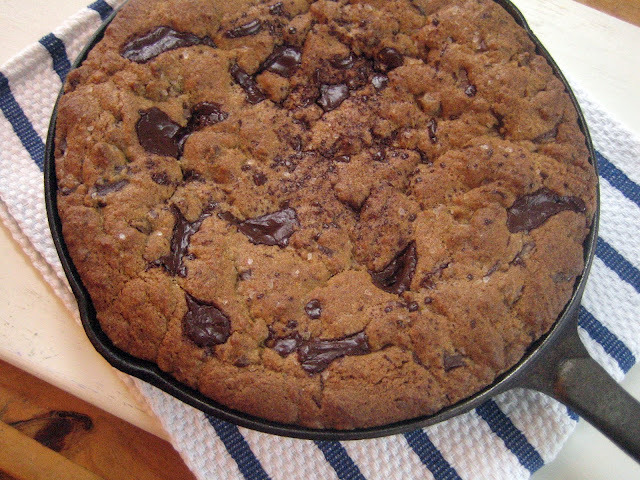 Over the weekend, I sipped steaming cups of tea (and a couple hot toddies that did the trick for my cold) while savoring little bites of the skillet cookie. Dangerous to have sitting on the kitchen counter! My boys helped me out and polished off the remainder in sundae form with strawberry ice cream and chocolate sauce. 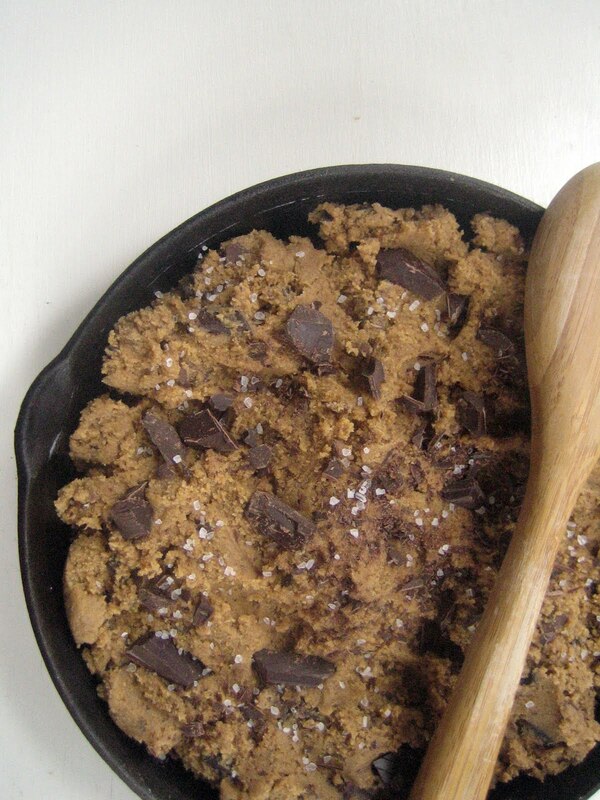 Bake up a pan when you’re in the mood for a cozy, satisfying sweet. When my husband, Bob, was in high school he spent a year living in Israel. His vibrant host mom, Sara, is of Yemenite descent - her father actually walked to Israel from Yemen in the early 1900s! - and she is an amazing cook. Bob was quite fortunate to enjoy her wide repertoire of dishes and was very happy to introduce me to her. Zhoug is one of her staples. 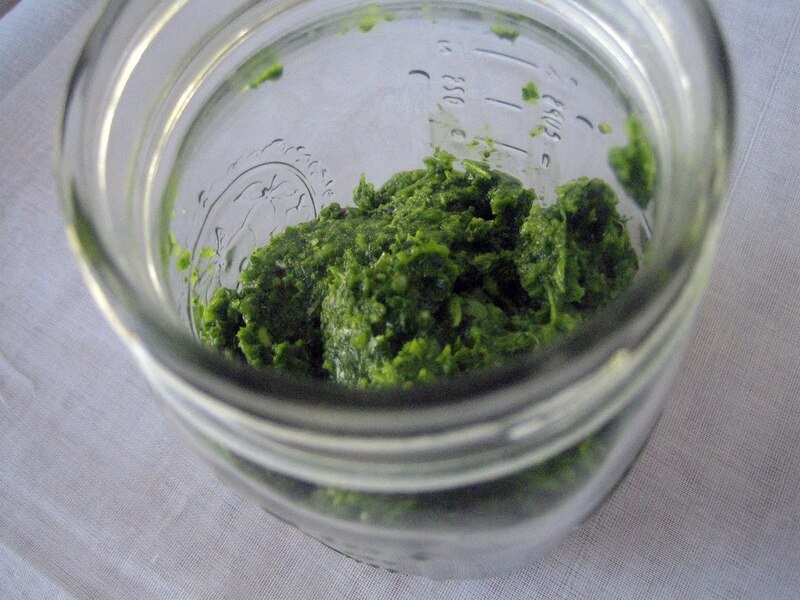 Zhoug is a fiery, green condiment that is full of flavor and spice. 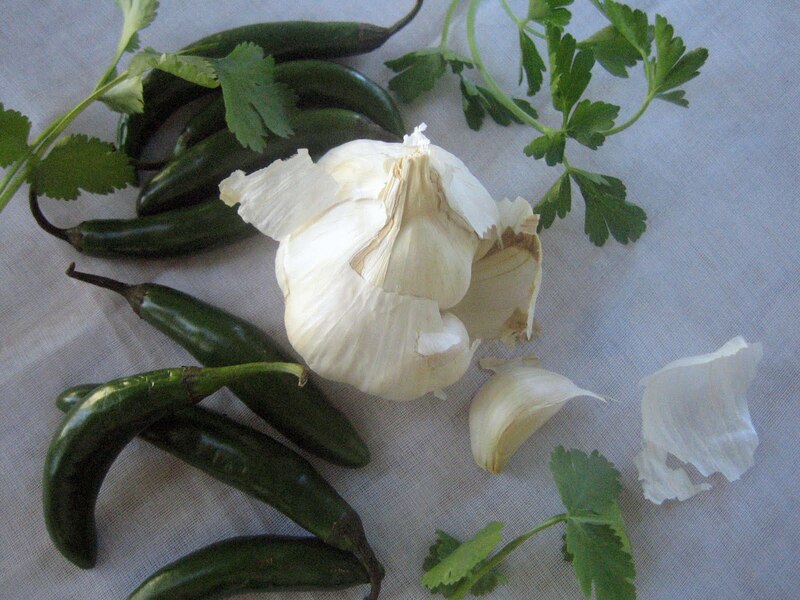 Big bunches of parsley, cilantro, green chiles, garlic and olive oil are whizzed together, creating a versatile relish that will have your taste buds dancing and your sinuses clearing. Once I discovered it, I never looked back. I have since played around with many zhoug recipes, all with cilantro, some with parsley, and some even with cumin and cardamom. After much fun experimenting, I've settled on a simple recipe that has become one of my pantry staples. I love bringing home beautiful bouquets of parsley and cilantro. I plunk the herbs in a jar of water on the kitchen counter to keep them fresh, making it easy to snip off some leaves when needed (and it ensures that nothing gets forgotten in the bottom of my crisper drawer). I’m one of those who doesn’t care for the taste of cilantro leaves – believe me, I’ve tried, as it is abundant in cuisines I adore like Thai, Indian and Mexican. That said, I have found when cilantro is pureed the flavor changes. Thus, I do love cilantro in zhoug (and in Indian chutneys). And either way you just can’t beat the heavenly scent of cilantro! Zhoug is addictive. It can be dolloped on chicken soup, jazz up a sandwich, be mixed with sour cream for a zesty dip, accompany grilled fish or enhance scrambled eggs. 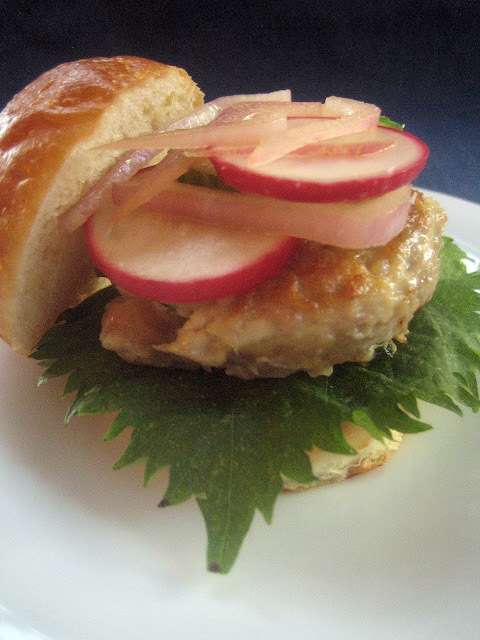 We even serve it with our gefilte fish (alongside the traditional horseradish) at our Passover seders – a real blending of cultures! Cut the stems off the chiles and roughly chop them. Put them in the bowl of a food processor. Crush 6 cloves of garlic and add to the bowl. Depending upon how much of a garlic lover you are you can up to the whole head - taste as you go and add additional garlic if you desire. Whiz until the chiles and garlic are roughly chopped. Wash the parsley and cilantro and cut off the stems (save the stems to use in making vegetable or chicken stock). Roughly chop the herbs and add to the bowl. Add 1 teaspoon kosher salt, a few grinds of pepper and a couple pours of olive oil. Pulse until a rough paste is formed. 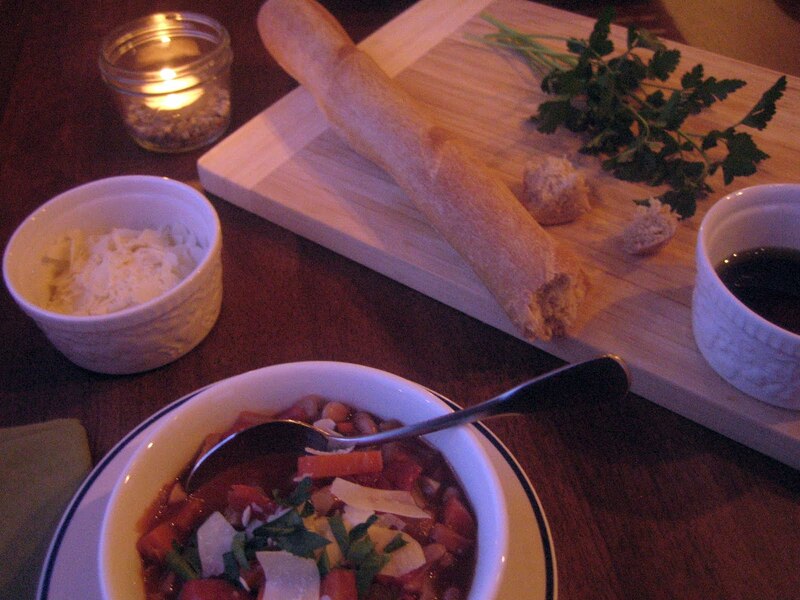 Pause to inhale the fresh scent and to feel your taste buds tingle. Taste for garlic, salt and pepper and add more if needed. If the mixture seems dry add a little more olive oil. Spoon the zhoug in to a clean jar, drizzle a little olive oil on top and cover. 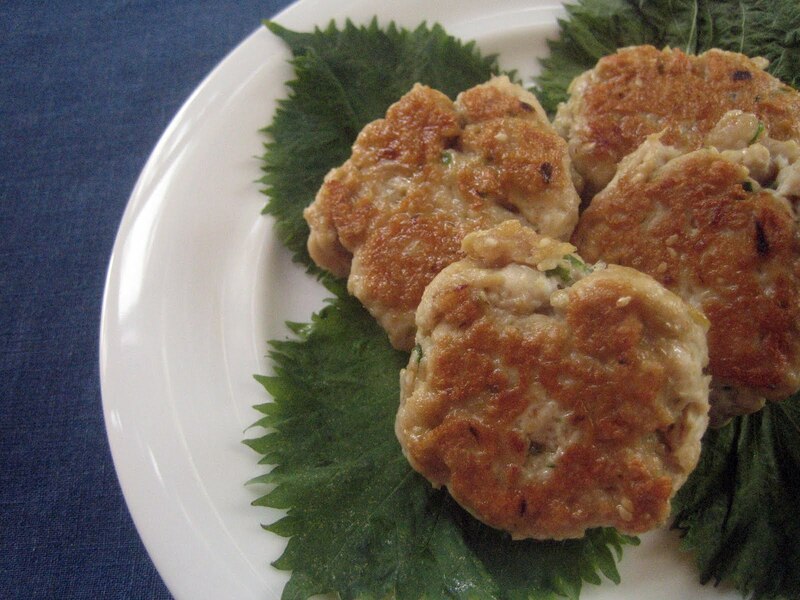 The zhoug will keep in the fridge for 1 month. As you use it, you can keep adding a little drizzle of oil to cover the top. 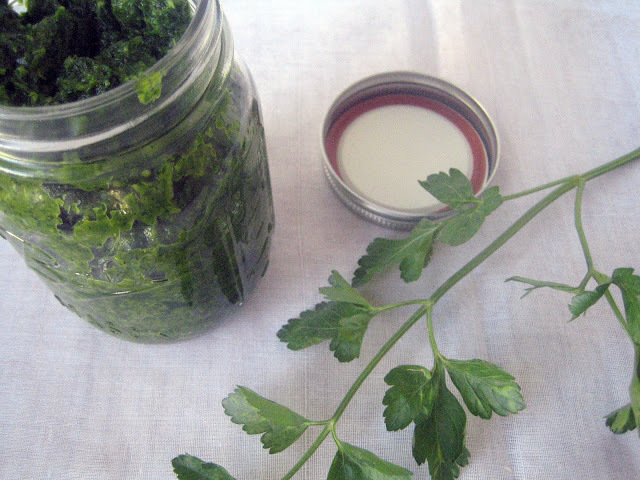 ** You can be flexible with the proportion of parsley and cilantro you use. 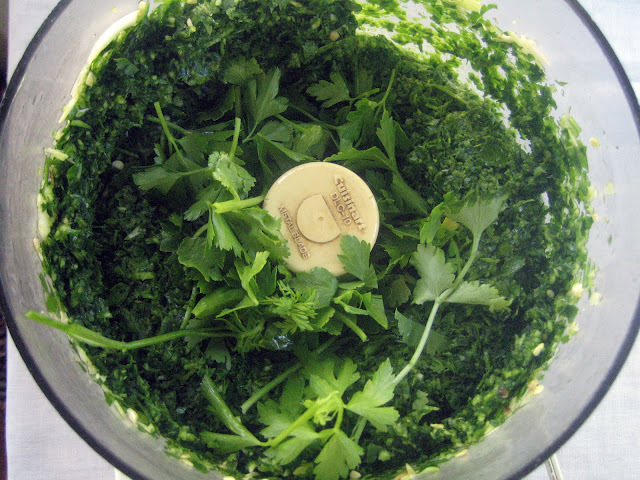 If you do not care for cilantro, feel free to use more parsley than cilantro or leave it out entirely and use only of parsley. 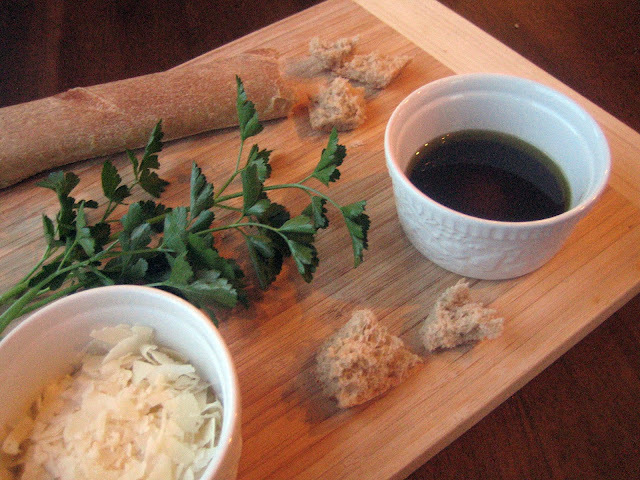 Or, if you are crazy about cilantro, leave out the parsley. Just be sure to adjust the amounts to equal 2 large bunches.